Welcome again to the Knit and Crochet Blog Week, Day 2! Here are the details about today's topic. So without further ado, I present the Yarn Loving Penguins! Now these guys decided to take over my blog today. I really had no choice because look at how much fun they are having swimming in yarn. It all started on an expedition to find the lost mojo of the Pittsburgh Penguins. Alas, I met these fellas a little to late for my beloved hockey team but they did endear me to their native habitat. The snow covered earth was cool and bright but these guys would not be deterred. They reassured me that my Penguins while amazing were not meant to win the Stanley Cup this year but with a healthy lineup next year the sky was the limit. Funny how the sky is the limit for a flock of flightless birds, but I digress. After a brief reprieve, I sat down to observe the penguins and pulled out my WIP. They loved my yarn and proceeded to steal it to nest. They jump and dove through it as if they were in the ocean. Some of the penguins got embarrassed of others actions and proceeded to give the exuberant bunch the evil eye. 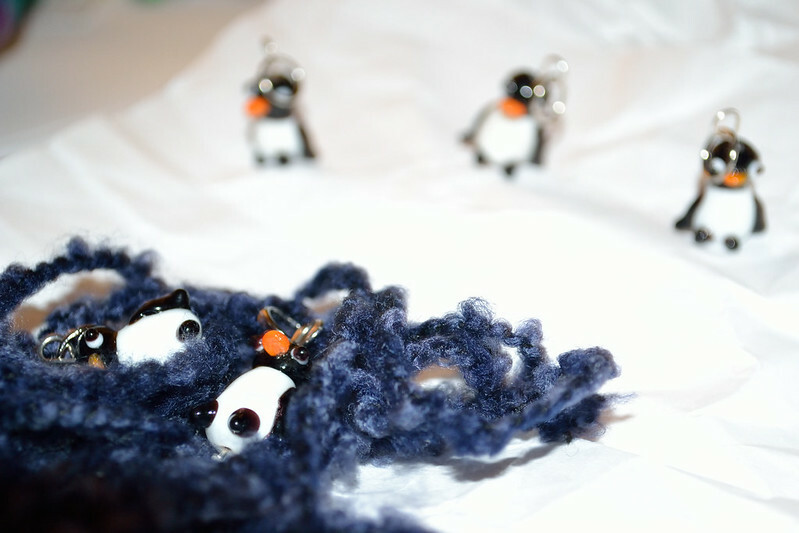 I reassure the penguins that it was okay and soon found out that they were born as stitch markers but were released to the wild. Finding yarn is a rare occurrence and some were just more excited than others. Since I didn't like the blue boucle yarn, I decided to leave it with the penguins. They were so happy that everyone soon was in the yarn pool. Think my crazy penguins are neat, consider nominating me for the Photography Challenge! Sweet! I didn't realize penguins born as stitch markers could survive in the wild. It gives me hope for their species. Yes, they really are a special breed. 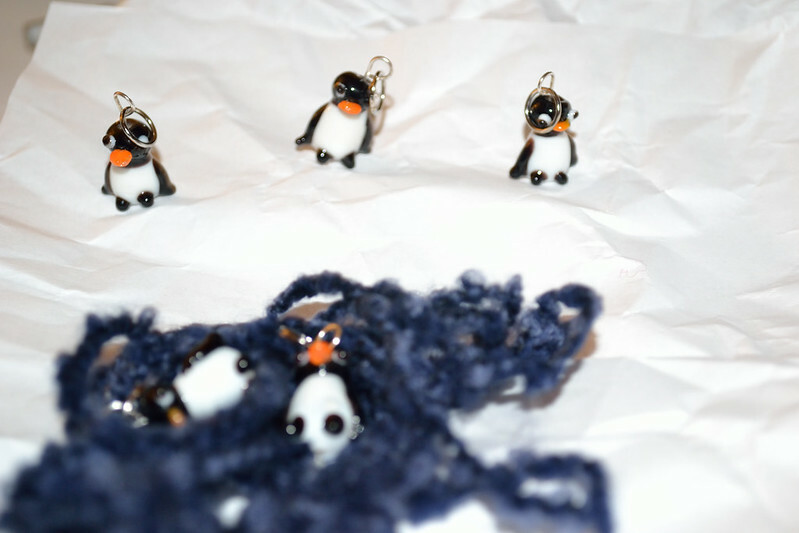 Some penguins dance and sing, mine are stitch markers.